Janet Schaum is the Vice President and Sales & Marketing Associate for Old Republic Exchange Company (ORE) and has more than 20 years of experience in the title insurance industry. Prior to joining ORE, Janet worked 11 years for ORE’s parent company, Old Republic National Title Insurance Company, and, as such, was the Assistant Vice President / Litigation and Claims Case Manager for the company’s Corporate Legal Department. Janet is a graduate of California University of Pennsylvania, with a Bachelor of Arts in Liberal Studies and a Master of Science in Law & Public Policy, also at California University. Janet has a Paralegal Diploma from the Community College of Allegheny County and is also an Associate Member of the Florida Land Title Association (FLTA), Associate Member of CREW Network – Tampa Bay, Corporate Affiliate Alliance Business Partner of the Miami Association of Realtors, Affiliate Business Partner of the Greater Tampa Realtors (GTR) Association, Affiliate Member of the Naples Area Board of Realtors / Association of Real Estate Professionals (NABOR), Affiliate Member of the Northeast Association of Realtors (NEFAR), Affiliate Member of the Pinellas Realtor Organization (PRO), Business Partner Member of the Realtor Association of Sarasota and Manatee (RASM), Member of the Federation of Exchange Accommodators (FEA) and Member of the American Society of Notaries (ASN). 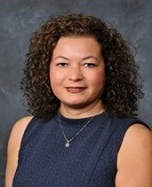 Janet is also an approved instructor through both the Florida Real Estate Commission (FREC) and the Florida Department of Financial Services (DFS) and frequently lectures on 1031 Exchange Basics. Earlier in her career, Janet worked as a Production Supervisor and as a Client Service Manager for two national title insurance underwriters.